Why and what is this page? From a tiny little site in 2004, Chandoo.org grew to be massive resource on all things Excel today. Running this site is an exciting thing. Over the years, I have learned to use certain software, hardware, websites to help me maintain this site and make people awesome in Excel. Now a days, many people ask me, “Hey Chandoo, what tool do you use to do that? It looks cool.” This page is my answer to those questions. Apart from Chandoo.org, I also have a few websites – excelschool.in, vbaclasses.com, startupdesi.com and others. To run all these sites, I rely on a bunch of services & companies. I use GoDaddy for domain registration and hosting of all my sites except Chandoo.org. I have been using them since 2008 and I am very happy with them. They provide good service, take good care of my sites and managing my sites is hassle-free. Nowadays, we get 1.5 – 1.7 Mn page views per month on Chandoo.org. Managing a busy site like this is a nightmare if you have little or no idea about webserver administration like me. Thanks to KnownHost, I sleep tight. My site runs on one their VPS plans and as you can see, performs very well. I recommend KnownHost if you are planning to run a reasonably busy site. I use Amazon S3 for hosting all the static files of our site (like logos, css, scripts etc.) and also hosting any large files (like videos, brochures). I use their Cloud Front service to make our sites load fast. Visit Amazon AWS page for more info & to get started. In order to manage various product sales, credit card payments and other aspects of running an online business, I rely on a slew of service providers. PayPal: I have a paypal account since beginning of 2008 and I just love them. They make me focus on what I know best – Excel & making people awesome. 2Checkout: 2Checkout is backup payment processing I use and they are just as lovely as PayPal. The good thing with 2Checkout is that it works with more cards and in more countries compared to PayPal. Visit 2Checkout site for more info. EBS: To handle payments by our Indian customers, I use EBS (E-Billing Solutions). They allow me to charge using debit, credit cards, net banking accounts and other payment options. Their fees are reasonable. Give them a try if you are running an e-business based in India. E-junkie: I use e-junkie shopping cart system to manage all aspects of my eCommerce (other than Indian payments). They are smooth, easy and inexpensive. Visit e-junkie.com for more. Almost all my sites run on WordPress blogging platform. WordPress is incredibly powerful, feature packed, easy to use and just plain awesome. But not all portions of my sites to WordPress. I use xenForo to manage our Excel Forums. And yes, I regularly use Excel & VBA to generate HTML, upload files and do more. I use oDesk, a site where I can hire people to do work for me to outsource aspects of my business that I am not familiar with or do not have time to do. For example, I used oDesk recently to hire someone to fine tune our site’s speed & security. They charged me less than $75 and I sleep sound at night knowing that I have nothing to loose. I recommend using oDesk if you are a small business owner like me and do not want to hire full time employees for everything. SkyLine, which is my desktop has an Intel i5, 8 GB Ram and it rocks! I use Windows 7 Ultimate on this machine. ThingLo, my new laptop is a Dell Vostro 1450. It has Intel i3, 4 GB ram and it does pretty good. I use Windows 7 Professional on this machine. Lilo, is my iMac. I bought this in 2013 and I use it primarily to edit videos, manage photos and as a back-up computer. BlueYeti Mic: I use BlueYeti Mic to record my training programs, videos. It produces excellent quality output and makes me sound awesome. Wacom Bamboo Splash: I use this to add illustrations, write on screen during my training programs. Adds a lot of value to my videos and makes me look awesome. Samsung Galaxy Tab 2: I use this to read books, play games, browse internet or watch videos. This is small, powerful and excellent value for money. A big part of my work is making videos, creating screencasts & explaining things. I use Camtasia to record my training videos & screencasts. I love this software. I have been using it since 2009. It makes the process of recording, editing, producing makes very easy. Hui uses the Windows Snipping Tool for static screenshots. It is light weight, saves files in PNG format and is available on All Vista & Win 2010 PC’s. It is available from the Start menu, All Programs, Accessories menu. I use paint.NET to edit images, process them, add illustrations and so much more. It is one software that I have been using since 2007. Often, I have to resize multiple images to standard size. This is when I use FZResizer. I use PPT for drawings, illustrations, creating brochures, ebooks, course material and presentations. In fact, I use PPT for a lot of my design work. One heck of a tool. I use skype for collaboration, calling and so much more. In fact, I even have a US phone number, thanks to Skype. Read more about how I use skype to run my business. I have been using Mozy on all my computers since 2010 and it makes me sleep tight knowing that all my data is secure. Simple and in-expensive solution if you are looking for automated backups. I also use a backup HDD on my desktop (SkyLine) and take full backups to it every Sunday. PuTTY is an SSH & Telnet client. It is powerful and simple to use. I use this to login to my sites thru SSH (Secure Shell) and administer. Both Hui & I use a small program Quick Text Paste to insert text that he uses repetitively in posts. So next time you see “Firstly, Welcome to the Chandoo.org forums.” or “http://chandoo.org/forums/topic/posting-a-sample-workbook” know that he has just pressed the Windows+F or Windows+W keystrokes. My primary browser is FireFox. I use this on all my computers (except, on iPhone with Safari and on my Tab2 with Chrome). I run the latest version of FireFox. I started using it back in 2005. It used to be an excellent browser, but nowadays, it is slow, quite memory hungry and keeps on changing. I tried Chrome, IE8, IE9, but decided to stay with FireFox for lack of a better option. On Firefox, I use a handful of add-ins to help me work faster. A good part of my work involves learning new things and experimentation. In this section, you can find some of those links. I follow almost all regularly updated Excel related sites thru my Google Reader. Here are a few that I recommend. For more Excel links, click here. I read quite a few books (both on Excel and outside). Here is a list of recommended books if you want to learn Excel. I want you to know all the things I use to make you awesome in Excel. That is why I created this page. So, if you would like to anything else, please drop a comment below. I will be glad to help. I have used affiliate links for some of the services & websites mentioned here. That means, if you visit the site after clicking those links and make a purchase, I will get some commission. But I love these services so much that I would have recommended them even if they do not pay me for that. Like this article? Please sign-up for our free email news letter or add our RSS Feeds to your reading list to receive excel tips, charting ideas every weekday. I believe in my opinion no one shares what goes behind to run their websites.You are awesome being open in sharing these to us. Just curious,what made you to choose MS excel as the prime content for the website. @Abhinay... thanks for the love & appreciation. I chose Excel mainly because that is what I was using everyday back in 2007. Wow Chandoo you are awesome! Nobody gives such a list of tools. Can you please update this list with Antivirus program you use?I think it is must for Internet Savvy people like you,right?? I use Microsoft Security Essentials & Windows Firewall. These are free tools provided by MS. I pray that you succeed with your business and enjoy it !! You are a true MAN. Awesome is the only word that suits you sir !!. I am your junior at Planet-I. @Mohsin & Manoj.. Thank you so much for the lovely words. What Bank and type of account do you use/suggest for online payments received and other transactions. I would like to start a website and would like to connect the paypal account and other accounts you have mentioned above, to the bank account. Which bank do you suggest and what type of account do I need to open? @Shaan.. Welcome to Chandoo.org and thanks for your comment. I use ICICI & SBH to handle all payments. You can open current account with any bank (thank has IFSC, Wire transfer enabled) near your office / home. Please ask your banker about service charges, maintenance fees and any special charges applicable for receiving oversees funds. Most large banks have very low / no charges on stuff like this. You are doing an excellent job and a good inspiration to people like me. This is so amazing and you are awesome. Hi Purna/Chandoo.. Not sure what would you prefer to be called ;). I am very much impressed with your work!! No words to express. Trying to sign up for your newsletter and feed, but getting an error. Page cannot be displayed. - they can parse the "paid for" list at any time, rather than having to find an e-mail I sent them with a link to each package. Chandoo you r really great!!! you shared a lot of things . Thanks!!!! I want to know do u yourself create ur Websites Or some designer.???? Which software do u use then for website creation? Your site is really great. I honour & respect your views the way you described in this site. You are so honest, sharing, caring & cool. Thank you so much for such a lovely & awesome site. This word "awesome" suits more when this word is used by yourself. clearly your site is just outstanding. The information sharing is 1st class and the attention to detail is superb. Thanks so much and wish you every success in 2013. See you again when you are next in Australia. 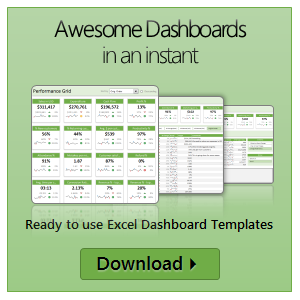 I would love to know if you can recommend anyone that does what chandoo does for excel but in word? Hello, I signed up for all 4 classes but I cannot load the video on my I pad, please help! Awesome! is the right word to express your work Chandoo 🙂 . I have a suggestion for taking Static Screenshots. Try Picpick.org. I have been using it for more than a year now and it works very efficiently with its shortcuts. i am new to your site, work and your will to share. I did design a microfinance product front end and i have been looking for ways to do the backend. pls visit my site to gain an insight into what i am taking about. i used serif's webplus 6. I have very inspired by your work. What program do you use to create the animated gifs? I thought maybe it would be on this page but I couldn't find it. I saw that Camtasia was/is one of the tools that you use. I didn't know that you could use it to create/produce an animated gif. So very, very cool!! I have SnagiT but do not have Camtasia yet...I can handle $30 but the $300 price tag for Camtasia has been prohibitive for me so far. But now I have one more reason for purchasing that amazing techsmith product. Thanks again mr pointy haired dilbert!!! I was just telling my friend. Rarely people share their secret of success. But you did! Awesome will be a lesser word to appreciate you. I am also interested in MS Excel and getting experienced on a daily basis. Planning to start my blog/website related to MS Excel. Would appreciate your contribution towards my start and growth. I tried using Camtasia Trial version. When I try to render video it really takes long and my Laptop entire CPU (100%). I am converting it to MP4 for some 20 minutes video. Tried searching on you tube but could not get appropriate answer. Can you please tell me does it has to do anything with i5 or RAM? I am using i3 and 4 GB RAM? I joined the excel school... curious if there is a way to view lessons on my ipad min... my first attempts were unsuccessful... is there an issue with accessing course materials on this device due to not being able to download anything or other reason? awesome article bro clean description no BS i like it the way you shared the details i got to learn many things from this article particularly about website management ,i came across your site for the first time and i am impressed ill follow your site regularly but tell me from where do i start learning excel from your tuts and which version of excel is currently and most commonly used in the in Indian companies for their day to day need ,i am a bit confused about it and as per what i came across i see major difference between excell07 and 2010 mostly facelift with a few new and useful features and i have no idea about excel 2013 never used it. Its really Awesome. I have no more words to say. I am running consulting firm in Finance and Management and Recently I subscribed to your online classes programmes. I wanted to know, if any way out possible, to host my work in excel on my website for viewing/editing/experimenting without the visitor to download the same. What software/plugin do you use to handle membership to yuor courses? Do you use something like WP Wishlist? This site has been the gem of 2013 for me! I like the way you have embeded video animation into your site - can you tell me how you achieved this result please. Id like to be able to show training videos with a similar effect. Many thanks with your very prompt response. I will investigate this further with Camtasia. Its the 'animated GIF files of recorded screen capture' that im trying to understand how you managed to have this on a site as it answers my obsticle of 'how to i show users' without heavily loading the server with large video files. You are a role model for me. I Just enjoying excel from last 3 years. I had found few months back that excel is the only thing which i have to do. Will talk to you some day if possible. Keep up the good work.I am glad that a fellow vizagite is rocking the online world with a awesome website which is very functional. You have a great site and keep up the good work. Your feeling of sharing is great. You are really an open good person, really appreciate your work. Do you do Seo for your website? Im very pleased to be your follower. In which resolution do you save the videos in camtasia ?. In fact my name is also a chandu (research scientist) and i would like to know how to generate a code for sequential numbers which are to be created in Ms word using VBA excel- macro language. Appreciate your response and would like to join in your team. Do you use any membership plugins for managing subscriptions? What do you use for Your classes , which membership software do you use? At first I thought it was silly that you included this page (doesn't exactly match your core)... but I'm very thankful you did! I learned and have adopted a few of your recs! Chandoo, for WordPress, do you use a custom theme, a framework (like Genesis or Thesis) or a multipurpose them (like Avada or X)? Thanks for all this great and useful information. Can you please suggest a designer/developer who can create my web sales page (including graphics) and also help integrate it with e-junkie and 2checkout? Have you ever tried using web scraping software to extract data? If so, Mozenda allows end users to automatically extract data that can be easily formatted in Excel and others. Which emailing services you use for sending bulk email? Good info to know. Any updates since this was published? Dear Chandoo, You are an inspiration to me. Your tutorials are so awesome, once i open your website, i keep n reading and reading. All the articles are so captivating. Thanks a lot. Its 2017 and the new age data analytics demads more. With Python and R challenging the godfather SAS, the emergence of bigdata tech and all has disrupted the Data Science Market. I am a MBA student and learning Data Analysis. I wanted to ask you do you think in todays market, being a master of Excel alone will be good enough to be a business analyst ? If not what else shall i start learning ? Is your program MAC supported? You are my role model. Very impressed (an understatement!) with your achievement. I have one query about Paypal. They require a US bank account to withdraw money. I am from India same like you, not having any connection with US. Hence not able to open US Bank account. After reading this I bought Yeti Mike. I tried to record but it doesn't capture sound. I tried all possible online solution but still couldn't get success. I think I'm doing something wrong our what. Will you please help. I'd like to understand how you run it.